This is an excellent book; and I have learned quite a bit while going through it. I was really impressed by every aspect of it but particularly the word stressing, intonation, as well as rhythm parts; I thought these parts were very useful for me. I am much more aware of native people's way of pronouncing and stressing words and I pay a lot more attention than I used to. 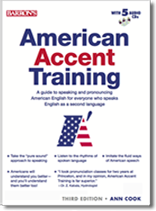 A superb way to absorb the rhythms and patterns of spoken American English. Clever, humorous and effective. 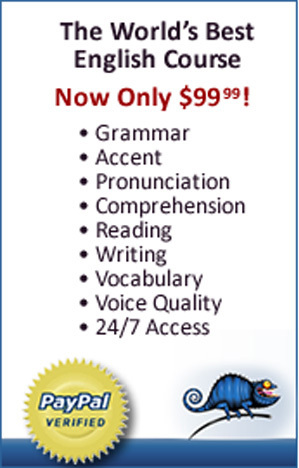 An American English pronunciation dictionary, teaches the sounds of the alphabet in a logical and clear manner. Vowels, consonants, digraphs, blends and silent letters are presented with simplicity. A full description of the mouth formation, with word examples, is given for each sound. Practice sentences are included for reinforcement. This English-learning material is aimed at beginning-to intermediate students, but it can benefit all who wish to improve their speaking abilities. Order the comprehensive AAT online training with pre- and post-training voice rec testing, and receive the AAT book and 5-CD set FREE! Online access is emailed immediately, and the book/CD set is shipped to you. Dr. Morton Cooper's simple, minutes-a-day program, shows you how to develop your natural, dynamic voice -- a voice that will influence others and enhance your self-image. Many who rely on their voice for their livelihood have successfully used Dr. Cooper's revolutionary series of exercises: Henry Fonda, Joan Rivers, Kirk Douglas, Anne Bancroft and many others. Change Your Voice, Change Your Life offers everyone the opportunity to have a star-quality voice.